All of our available models in the 8 foot wide by 7 foot high size range. This is a collection of our door models available in size of 8' wide by 7' high, this also covers rough openings ranging from 7' 1" to 7' 11" in width and 6' 1" to 6' 11" in height. If you are unsure of exactly what size you need please see our article on How to measure your rough opening for a roll up door. The Model 650 Mini Storage Door is designed and manufactured with durability, quick installation, ease of maintenance in mind. Standard features such as ratchet tensioner, enclosed barrel housing a dead axle assembly, and a factory installed stainless steel latch eliminate the need for upgrades and additional charges. The Model 750 Door was designed to meet stringent wind load requirements for mini warehouse applications while still providing the best door operation in the industry. The new innovative door design has minimized the locking and reinforcement needed to strengthen the door to pass rigorous wind load testing. 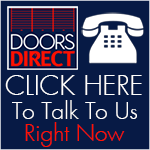 Below you can find pages that will show you all the door models available in some of our most popular sizes. The width and height measurements cover down to the next lowest size plus 1 inch, for example an 8 foot wide door would cover from 7 feet 1 inch up to 8 feet. How does Roll-Up Doors Direct save self storage professionals so much money? We work directly with manufacturers, allowing us to reduce expenses. We are pioneers of the direct-to-the-consumer approach, and we can offer ourcustomers great service as well as substantial savings.